These Alena sheer patterned knee-highs might be just what you need to complete your outfit. Featuring a floral pattern, sheer toes and tops with scalopped edging. The fabric is a soft micronet that will allow your feet to "breathe". These Alena sheer patterned knee-highs might be just what you need to complete your outfit. Featuring a floral pattern, sheer toes and a scalopped band. 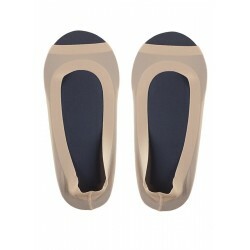 The fabric is a soft micronet that will allow your feet to "breathe".